We are happy to share THREE reviews of No Era in the Sep/Oct 2018 issue of Fanfare Magazine! This article originally appeared in Issue 42:1 (Sept/Oct 2018) of Fanfare Magazine. As a celebration of post-Minimalism for the medium of flute trio, this disc works well. The first piece, Broken Birds by Danny Clay, is scored for three flutes plus miscellaneous objects, although the focus is clearly on the flutes throughout. The sense of sonic exploration and transformation of sound sources is remarkable right from the start, in which high percussion is transformed into high, silvery flute. Call bells, wine glasses, and slide flutes add to the color. The score requires great control from the performers, beautifully realized here; the recording is close but also warm; the result is positively immersive. The stop-start aspect of the third movement is decidedly arresting in music that elsewhere depends on flow, balanced by the etheric whisperings of the fourth. The writing throughout is expert: Clay knows exactly how long to explore ideas. The sixth and final movement has something of a processional about it, the bass flute adding depth to the sound. Commissioned and premiered by Areon Flutes, Sahba Aminikia’s Bāde Sabā (The Lovers’ Wind) is actually linked to a film (available at sahbakia.com/works18). The piece is a response to a documentary by French film-maker Albert Lamorisse that celebrated the country of Iran. The title of Lamorisse’s film was Le Vent des amoureux, hence Aminikia’s translated title. Watching the film with the flute contributions is a little like watching the black-and-white film of Dracula with Philip Glass’s Minimalist score, in the sense that the music brings the film to life, taking it into the modern era on one level while simultaneously underlining its original strengths—although with very different subject matter, as Aminikia and Lamorisse offer a most beautiful, affecting experience. The performance here is fabulous; the control of all the flutists is magnificent, the slow central section perfectly sustained. Finally, Get Go! by Ryan Brown is an appropriate way to close: rhythmically jazzy, with a deliciously “cool” aspect. Music such as this needs absolute rhythmic precision; again, it is difficult to imagine a stronger performance. The final movement’s additive processes find repeated patterns threatening to spiral out of control; instead, rhythmic gestures instill at least some check on the headlong movement. This is, on one level, terrific fun. It is also, however, a celebration of post-Minimalist culture performed to the highest standard. This recital presents music by three composers completely new to me—and I would guess to virtually all of Fanfare’s readership as well, given that none of them has yet had a piece of music reviewed in these pages. I will say at the outset that each of them has something worthwhile to say, and that the Areon Flutes represents these new works in the best possible light. Thanks to the internet (albeit not to the CD, nor to the Areon website, which lacks notes on anything), I was able to discover the fact that all three composers are based (like the Areon Flutes themselves) in San Francisco, and apparently describe themselves as “Post-Minimalists.” Since I am not generally fired up about much of anything in the Minimalist movement, I guess that the “Post” here makes a difference, because I do find much to admire in this music. The recital opens with Broken Birds by Danny Clay. Even on his website, I couldn’t find much information about him, other than the fact that he hails from Ohio, works in teaching composition to elementary school-age children, and is resident curator of the Center for New Music in San Francisco. From the outset, Birds grips the listener with its opening gesture, which is formed from a repeated descending figure in the upper register of the flute punctuated with a bell-like sound, which may be produced through the striking of a wine glass, if I’m correctly interpreting the Innova website that briefly discusses the work. The second movement of this six-movement work begins almost identically to the first, but soon brings in new material, more tonally oriented than is that of the first, which seems to be focused on the note A as an idée fixe. Even in the following movements, the “A” returns frequently, as if it were invoking the memory of the first movement. In addition to the wine glass(es), a slide whistle is utilized in this work. I found Clay’s shifting sonorities and textures to form an attractive and ingratiating work that produces colors not normally associated with the flute. His use of sonorities only a quarter-tone (or less) apart from each other also adds interest and color. The fourth movement displays some unusually spooky sounds that might frighten young children. I found myself wondering if he’d ever played this work for the youngsters at his school. The final movement calls for a bass flute, and the piece ends with a pedal point on A to complete the cycle. Sahba Aminikia was born in post-revolutionary wartime Iran, and was highly influenced by the poetry of Hafiz, Rumi, and Saadi, and by a number of musical styles, including jazz. His teachers (in England, Russia, and the U.S.) have included Tischenko, John Adams, Corigliano, Danielpour, and David Conte. Aminikir’s Bāde Sabā, again according to the Innova website, was written to accompany a documentary by Albert Lamorisse based on Iranian landscape, people, and culture. It opens with a Moldau-like accompaniment in a larger flute, over which plaintive lines in the C flutes are spun out. There is a suggestion of the composer’s eastern heritage in his use of augmented seconds in some of the figuration that flows throughout this movement. The second movement is more regular in its use of meter, but harmonies remain evocatively mysterious. The third movement produces quite a different impression, and focuses on the note C to generate its material. It would seem to be almost a 21st-century equivalent of a concerto grosso in its effect. Here and there, the Eastern provenance of the composer again comes to the fore. Ryan Brown is co-founder and executive director of Switchboard Music, a San Francisco-based non-profit presenting innovative and eclectic music from the Bay Area and beyond. He received his Ph.D. from Princeton University, and also studied at California State University-Long Beach and the San Francisco Conservatory of Music, where he currently serves as an associate dean. His Get Go! opens with some very percussive flute effects that serve to grab the listener by the earlobes to get his attention. Syncopation in this movement also rises to prominence, and quick interjections that sound almost like chiff in a pipe organ are interspersed with longer notes and eventually melodic lines. The third movement seems the most Minimalistic to my ears, but it is cleverly constructed and never wears out its welcome. The composer has here produced a delightful confection of special effects and musical ingenuity. The Areon Flutes ensemble plays with utterly pure intonation and tone and produces an amazing blend of sounds from their respective instruments. This disc will be of definite interest to flute aficionados, and likely also to anyone interested in new and exotic sounds and well-conceived contemporary works. The music here is described as “post minimalist,” and this rubric carries over into the production of the disc itself. A duration of 47:20 is certainly not generous, and the fact that there is not even a hint of program notes to accompany some very unfamiliar music is downright stingy. If you are a lover of music for the flute, however, I would not let those issues discourage you from exploring No Era. Areon Flutes, founded 14 years ago, is an ensemble of three flutists, Jill Heinke Moen, Kassey Plaha, and Meerenai Shim. 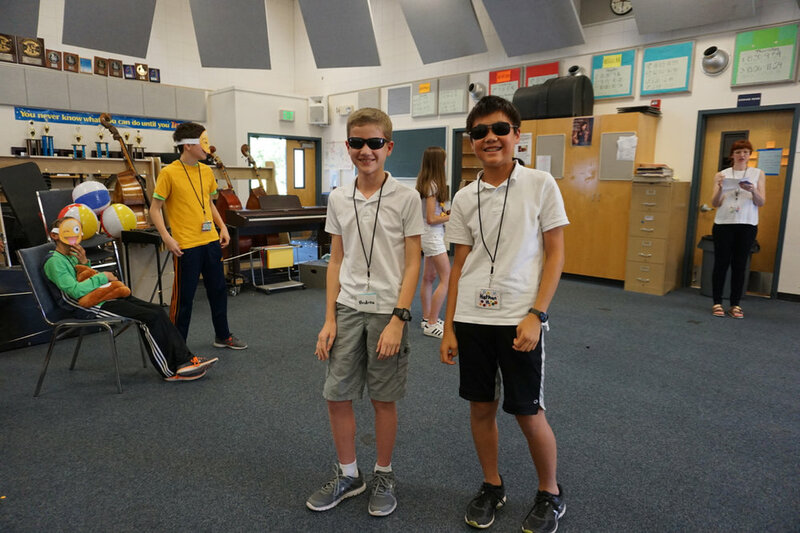 They alternate in playing all of the instruments in the flute family, including alto, piccolo, and bass flute. The group specializes in new music, commissioning a great deal of it. 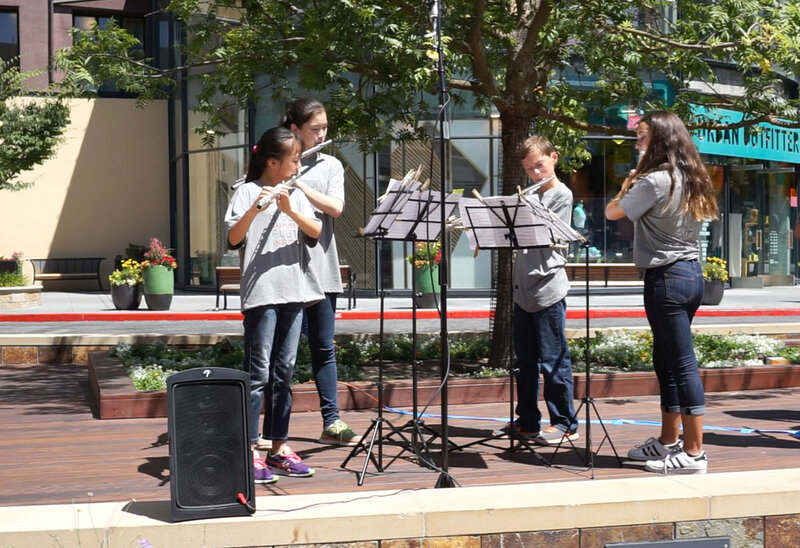 Like Areon Flutes, the three featured composers are San Francisco based. I would guess that all are in their 30s or 40s (the only one whose birth date I could find is Ryan Brown, born in 1979). There is considerable variety here in the textures and colors of the music, despite everything being for flute trio. Danny Clay’s Broken Birds, the longest work at 21:33 minutes, consists of eight movements that imaginatively replicate bird-like sounds. Despite many repetitive passages typical of the Minimalism school, one hears abundant color changes. This has been achieved partly by the use of unconventional flute textures, call bells, wine glasses, and slide whistles. My favorite work is the three-movement Bāde Sabā by Iranian-American composer Sahba Aminikia. His music is influenced by both native Iranian traditions and Western classical music, as well as Aminikia’s absorption of jazz, blues, and American pop music. The figure that opens Bāde Sabā is reminiscent of the opening of Smetana’s Má vlast, a gently rocking figure that almost hypnotizes the listener. The score was created to accompany a documentary film about Iran’s landscape and people, but it works very well standing on its own. The blend of influences in Aminikia’s style comes together in a remarkably cohesive way. Finally, the 10-minute Get Go! by Ryan Brown shows a strong influence of rock music and features some unusual effects created by turning flutes into percussion instruments. The performances are lively and committed, as well as being technically very secure. The recorded sound is fine. Areon Flutes would be better served, however, by stronger production values, particularly the inclusion of information about the composers, the music, and the ensemble. A bit of effort on your part in searching the internet will bring some of this to you. It is worth the effort because of the pleasure provided by this unusual disc. Review: "Impeccable technique, purity of sound, great expressiveness and rhythmic precision"
Impeccable technique, purity of sound, great expressiveness and rhythmic precision, characterize the very good flutists of Areon Flutes. Read the rest of Luciano Feliciani's review (in Italian) for Kathodik. Review: "The ladies have stupendous ability/agility"
The ladies have stupendous ability/agility but it always serves/enhances the music. Mark Keresman reviews "No Era" in the June 2018 issue of ICON Magazine. 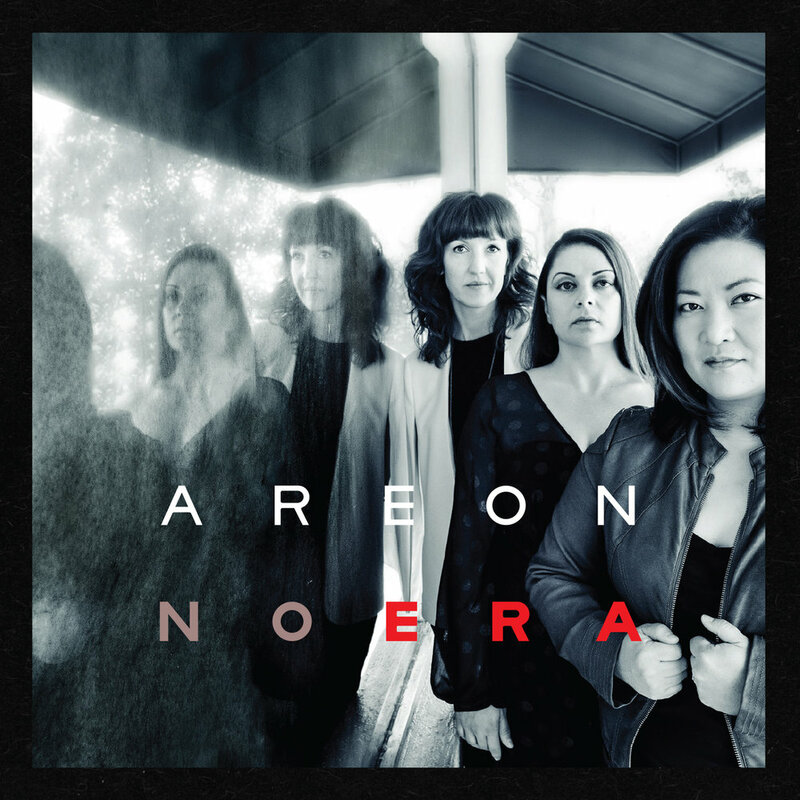 We are excited to share that our fourth album, No Era, is now available via innova Recordings and can be purchased at all music retailers such as iTunes, Amazon, Spotify, and directly from the innova website! No Era features three works that we commissioned from San Francisco Bay Area composers Sahba Aminikia, Ryan Brown, and Danny Clay. It was recorded in December 2016 at the San Francisco Conservatory of Music and engineered by Zach Miley. Photo by Diane Maire. Cover design by Brian C. Moen. We are grateful to have received many excellent proposals from 290 composers. Many thanks to our first round judges, Elainie Lillios and Brent Miller. Born in Porto, 1989, and currently living in Amsterdam, Igor C Silva is a composer devoted to electronics and new media music, creating projects were performers, computers and many noisy and psychedelic things happen on stage, creating a multi-sensorial experience. Silva works regularly with ensembles, performers and orchestras, receiving many commissions from ensembles and festivals, and publishing several recordings with his music. Igor C Silva also works regularly with soloists, ensembles and jazz groups, devoting part of his musical and composing activity to improvisation and interactive performances with electronics and multimedia tools. Chouette! for flute, cello and piano, was premiered in September 2009 in Austin (USA) and performed at "Future Places Festival”. In May 2010 he participated in the European project "Sound Art In City Spaces", where he created an installation/performance in Porto, along with several foreign artists. Silva was the Resident Young Composer at Casa da Música for 2012 and received several commissions and worked with Orchestra Sinfónica do Porto, Remix Ensemble, among others. He was also the Composer in Residence at Miso Music Studios in 2015, were he started to develop a new multimedia work that will be premiered in 2017. Recently, his work You Should Be Blind to Watch TV, for ensemble and electronics, won a recommendation at the International Rostrum of Composers in Estonia and also won a runner-up prize for the Ossia Ensemble in New York. Igor C Silva won several prizes, including the 1st Prize at the “2nd Composition Competition Casa da Música/ESMAE" with Terminus, for viola, live-electronics and lighting, 1st Prize at the "5th International Composition Competition of Póvoa de Varzim" with Flipbook, for quintet and electronics, and the 1st Prize at the “Concurso Internacional de Composição GMCL/Jorge Peixinho” with Blood Ink, for small ensemble and electronics. On upcoming projects stands out the concerts in many festivals including a portrait concert at Gaudeamus MuziekWeek 2017 and Soundofmusic Festival 2017, premieres of new multimedia pieces, and concerts in Netherlands, Belgium, Spain, USA, Portugal, Germany, Denmark, Norway, Switzerland, Mexico and Korea. Igor C Silva graduated in composition at Escola Superior de Música, Artes e Espetáculo (ESMAE) in 2011, and finished a Master degree in Composition and Music Theory in 2013. He also attended seminars with Magnus Lindberg, Jonathan Harvey, Pauline Oliveros, Kaija Saariaho, Wolfgang Mitterer, Betty Olivero, Marko Ciciliani, Pascal Dusapin, Bruce Pennycook and others. In 2017 Silva finished a Master Degree in live-electronics at Conservatorium van Amsterdam. He is currently a PhD candidate at VUB (Brussels) and Koninklijk Conservatorium Brussel. 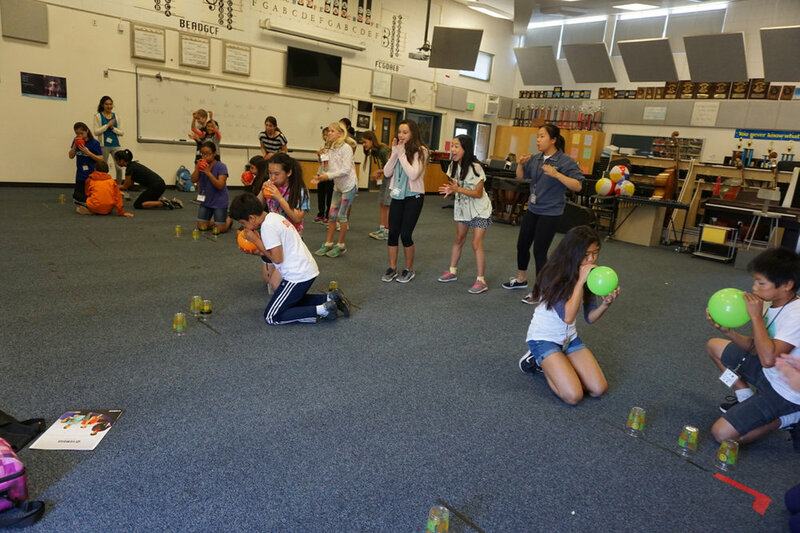 The 2017 Areon Summer Flute institute was a ton of fun! We can't wait for 2018! 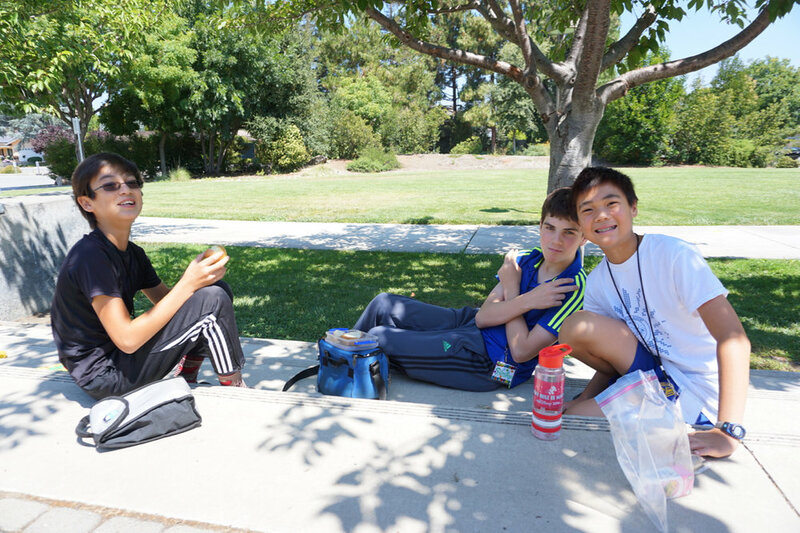 Information about the 2018 Institute will be available in the early Spring. 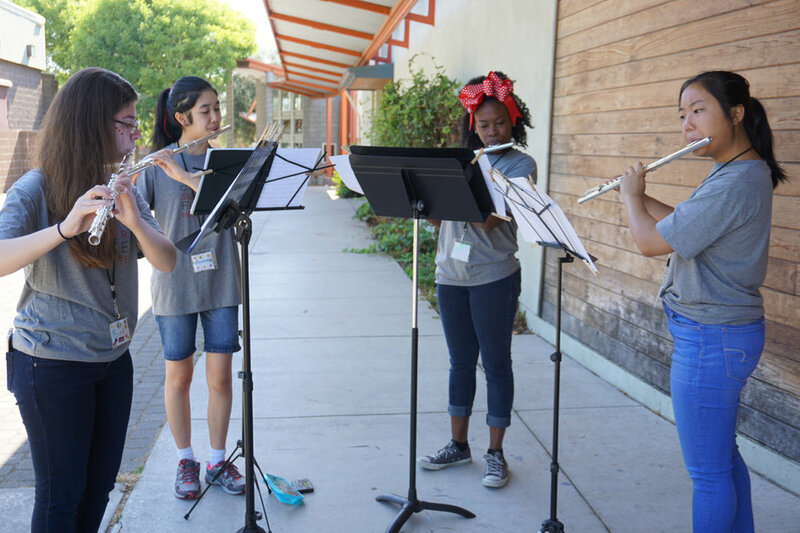 amplified 3 piccolo serenade by the counselors! solo competition preliminary round judge Gala Yaroshevsky and camp director Jill Heinke Moen. 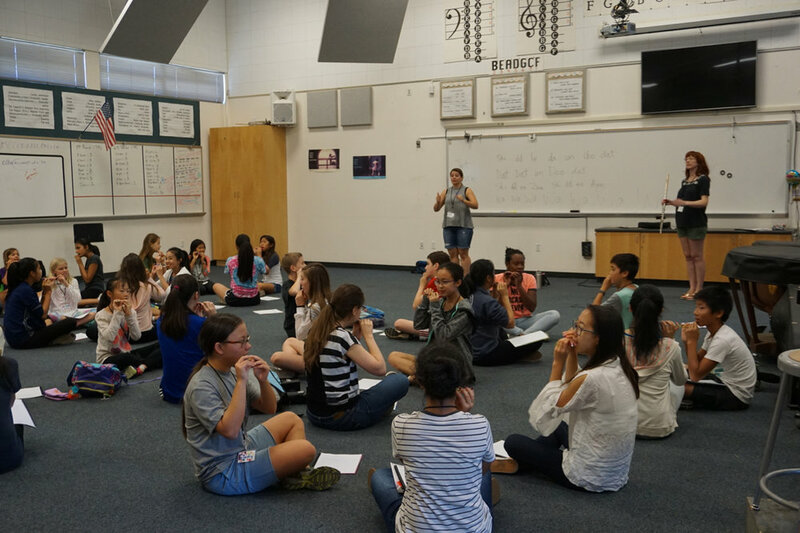 The 2017 Areon Summer Flute Institute was awesome! See you in 2018! Review: "a great display of virtuosity"
Another rave review for Thrive! This time in the Summer 2017 issue of The Flutist Quarterly, the official magazine of the National Flute Association. "Jill Heinke, Kassey Plaha, and Sasha Launer - the flutists who comprise Areon Flutes - are truly masters of the instruments and of making excellent chamber music together. 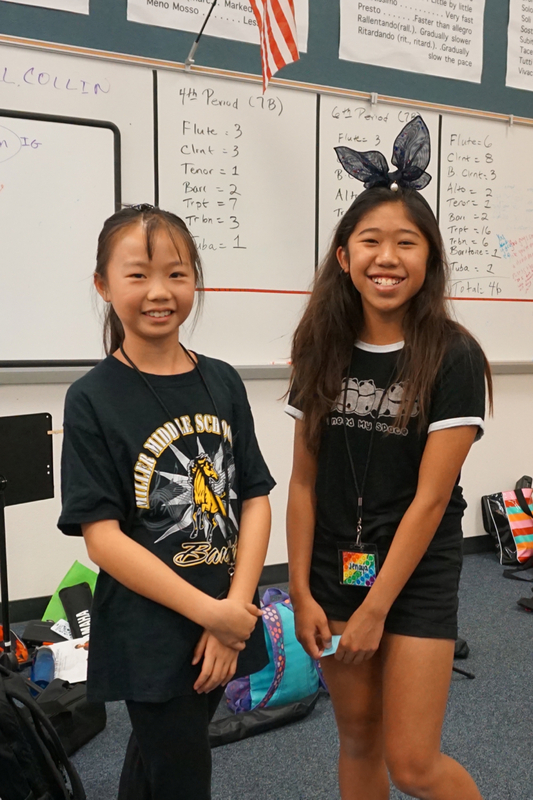 Each performer shines for technical ability as well as musical expressiveness, and they weave seamlessly in and out of each other's sounds in a way we all strive for when playing in small ensembles. 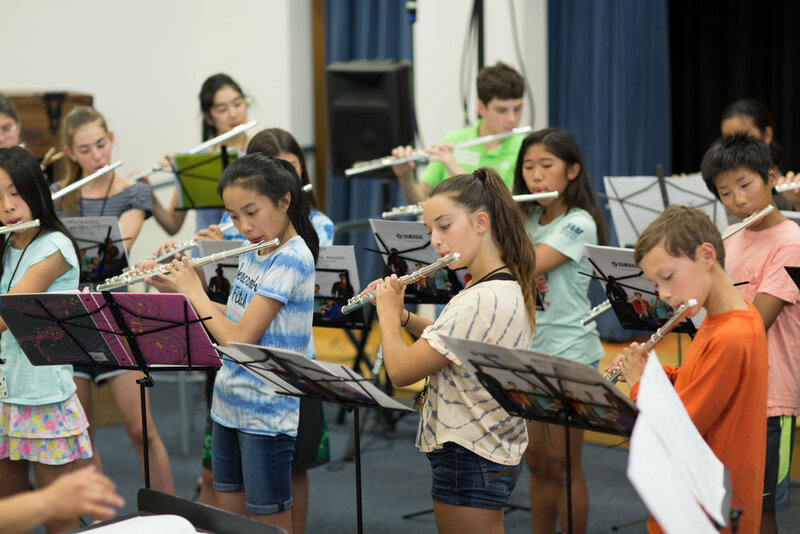 I could be dismissive of this skill and say it's clear they've have 10 years of playing together, but it's more than that: they are all incredibly nimble, sensitive flutists who are truly making great art as Areon Flutes. Thrive is a fun exploration of new music in varied styles for flute trio, a great display of virtuosity for all three performers, and an apt description of Areon Flutes' presence on the new music/chamber scene." 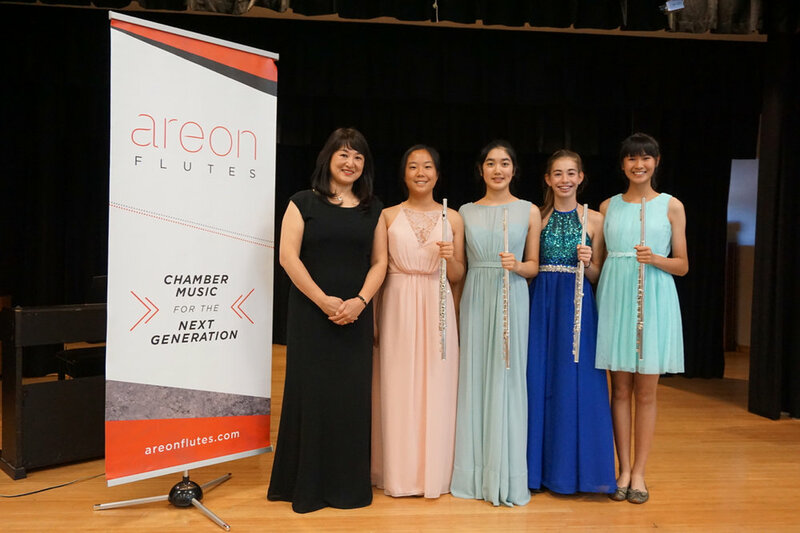 Areon Flutes welcomes new board members! Read the entire review on the New Classic LA website.